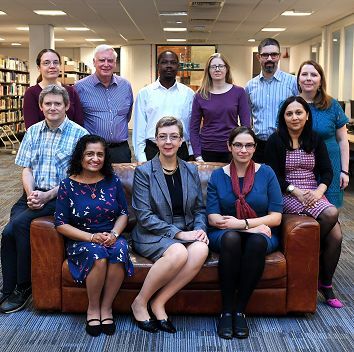 LibSmart is the Digital and Information Literacy programme run by the Academic Liaison Librarians. It is designed to support students and staff with the academic practice, information literacy, and employability skills needed to get the best out of time at Brunel and beyond. To book a place at a session, please use the Calendar of Events link or tab above. A workshop combining the importance of avoiding plagiarism with the mechanics of how to reference. Referencing cafe Held termly, the referencing cafe provides students with an opportunity to drop in and receive help with referencing queries. Referencing software: Introduction to Mendeley Aimed at all students. In this session you will learn how to use Mendeley, bibliographic software that helps you document and manage your references, allowing you to cite while you write. Aimed at all students. In this session you will learn how to use RefWorks, bibliographic software that helps you document and manage your references, allowing you to cite while you write. Bloomberg Certification An overview of the Bloomberg Market Concepts (BMC) e-learning module, including what it is, how to access and work through it, and how completing it can benefit employability, especially for those seeking careers in finance and investment. Includes information on using, and getting your CV added to, the the Bloomberg Talent Search (BTS). Getting to know FT.Com Learn your way round FT.com and how to get the most from this reosurce. Introduction to finding data and statistics This session explores data and statistical sources available at Brunel and beyond. Covering exporting data from Bloomberg, downloading the Excel add-in, importing data using the Excel add-in, accessing templates, the basics of using formulas to build functions. Attendees at this seminar should have previously attended Getting Started with Bloomberg, or have past experience using Bloomberg. What's in UK Data Service? Discover statistics and sources within the UK Data Service website. An in-depth look at finding good quality, relevant literature for assignment and dissertations. Creating an effective poster How to make visually attractive posters convey the message you require. Finding Technical Standards for your Research Standards are intended to ensure compatibility between products and appliances from different suppliers. Find out how to locate and access British and International Standards. Intellectual Property, Copyright, and Patents Patents are a form of intellectual property, which can provide useful technical information. Find out more about more about IP and copyright, and how to locate and access British and International Patents. Systematic reviews Find out what goes into creating a rigorous systematic review. Using copyright free images Find out how to access a wealth of good quality copyright free images for use in your slides and in Blackboard. You’ll never take a picture from a Google Image search again!